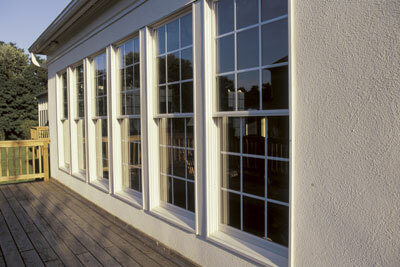 Delaware Storefronts, LLC also specializes in providing replacement glass for virtually any application. When your window or door glass gets broken, it can be frustrating and stressful—open windows and doors threaten the security of your home or business. Delaware Storefronts, LLC offers replacement window glass, including 24 hours emergency board up service to ensure your home or business is secured and protected from the elements. We replace traditional residential windows and doors as well as specialty designs for businesses. Our professionals work with any type of window from picture windows to casement windows for basements. Whether your home or business has suffered storm damage, regular wear and tear, or a break-in, we’ll get your new glass installed as soon as possible. We also offer custom storefronts and glass for stand-alone buildings and shopping center suites. We have the custom size and maximum durability materials for floor to ceiling storefront glass. If you have a broken mirror, Delaware Storefronts, LLC will replace your mirror glass of any size, shape, and design, from small round mirrors to wall length dance studio mirrors. Our glass professionals can match the design and type of mirror to your current one, or upgrade your mirror to the latest materials and a new design. If your shower glass has been damaged or is simply worn out, we replace shower glass for doors and enclosures of any shape and size. When applicable, we will completely clean up broken glass before your new glass installation, ensuring your safety and a clean installation of your new shower glass. If your table top has been broken for any reason, our experienced glass experts in Camden can replace your table top glass, whether you have a common design or a treasured antique. We can match or duplicate nearly any color, size, and design.